There were two performances held at the Museum this week. 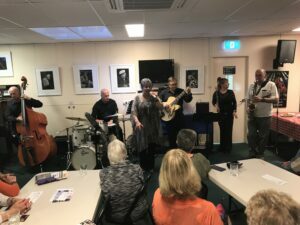 Tuesday was Anita Harris and friends while Friday it was Pippa Wilson with the band Jazz Notes. Thanks again to all our performers who generously support the Museum by giving their time freely. We are all very appreciative. For those who missed these performances, make certain you book in when next year’s events come around. Here is a sample of what you missed.